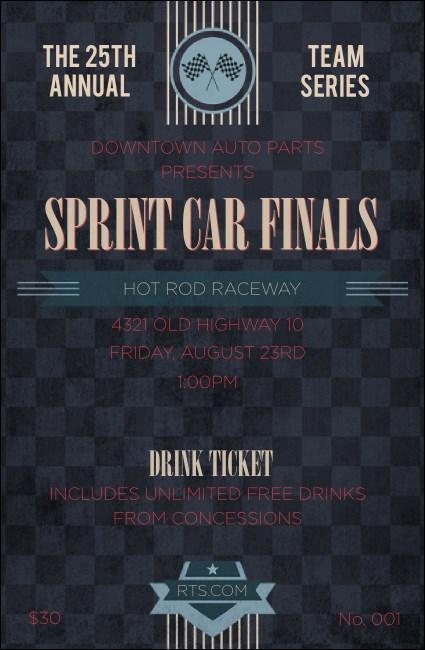 Give your fans fuel for the big race and distribute the Car Racing Drink Ticket. A chequered flag forms the background on this design, with ruby and cream text for details. Offer your guests soda, beer, or cocktails and help out the service staff keep the bar organised with this handy design!